*optional 50 gram dark chocolate chopped small. Pre heat oven 350. 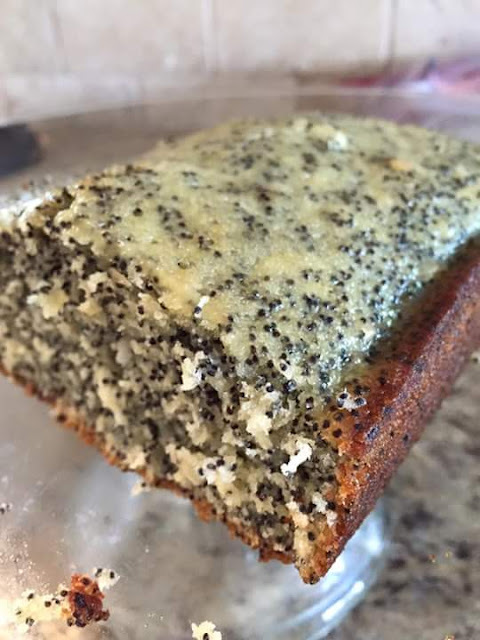 Mix together flour, baking powder, poppy seeds, and coconut. In a separate bowl mix together eggs, sugar, oil and orange juice. Add mixture to flour mixture and mix well. Then mix in chocolate. Pour into an English cake pan and bake for 35-40 min.